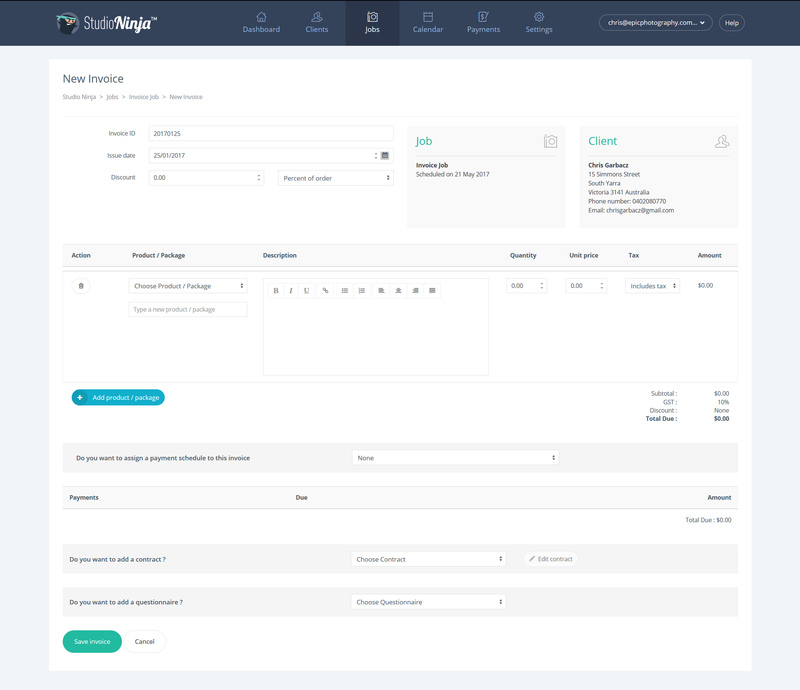 Learn how to complete the relevant settings, create your first invoice and send it to a client from the job profile page. 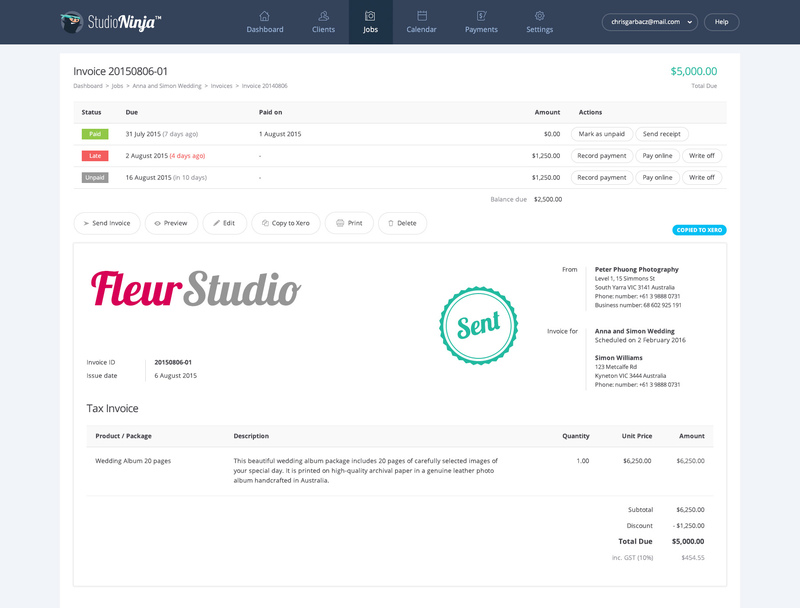 Studio Ninja has a powerful yet easy to use invoicing system! If you have completed all of the above settings, then you’re ready to start invoicing your clients! In this example, please add yourself as the primary client so you can receive and review the invoice to make sure you're happy with everything before creating real invoices. From the job profile page, click on the 'Add new invoice' button. Welcome to the New Invoice page (below). Step 1: Choose a product / package from the drop down menu OR create your own by typing in the input boxes. Step 2: Add a discount and choose an option from the drop down menu of either a fixed price discount or a percentage of the order. Step 3: Set a due date of when you would like the invoice to be paid OR select a payment schedule from the drop down menu. Step 6: Click the 'Save invoice' button. Open it and click the link that says 'Please click here to view and pay your invoice online'. You will be taken to the client portal. 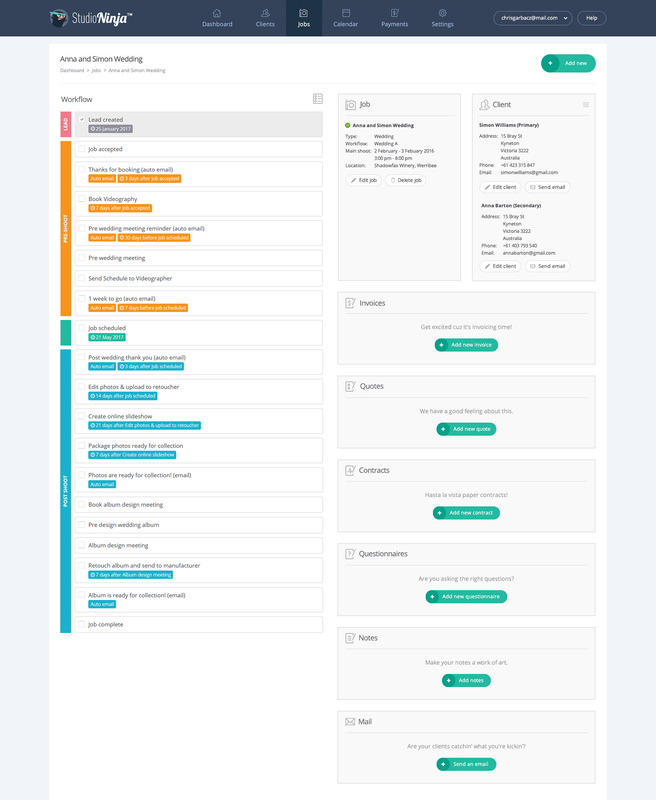 This is what your clients will see and this is where your clients will pay invoices, accepts quotes, sign contracts and complete questionnaires. Congratulations, you've just setup, created and sent your first invoice. 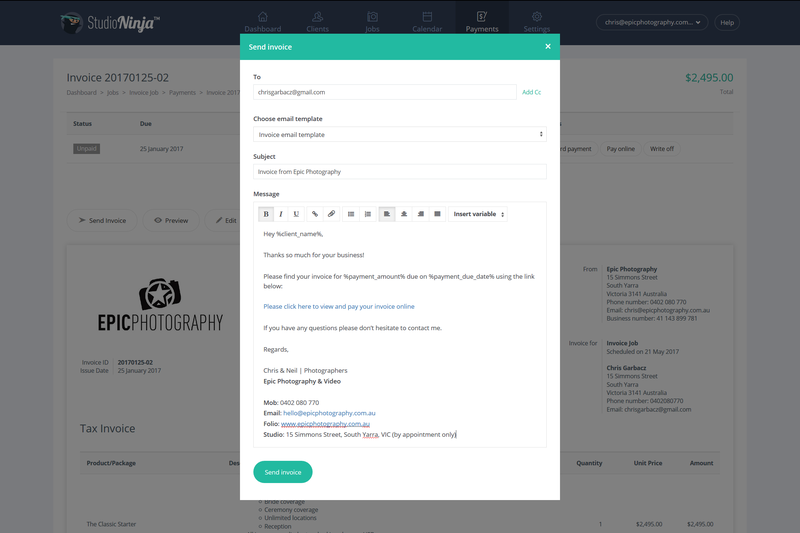 It now time to start adding real invoices into Studio Ninja!